Heaven is full of light and the angels have a glow about them all of which illuminates this scene. 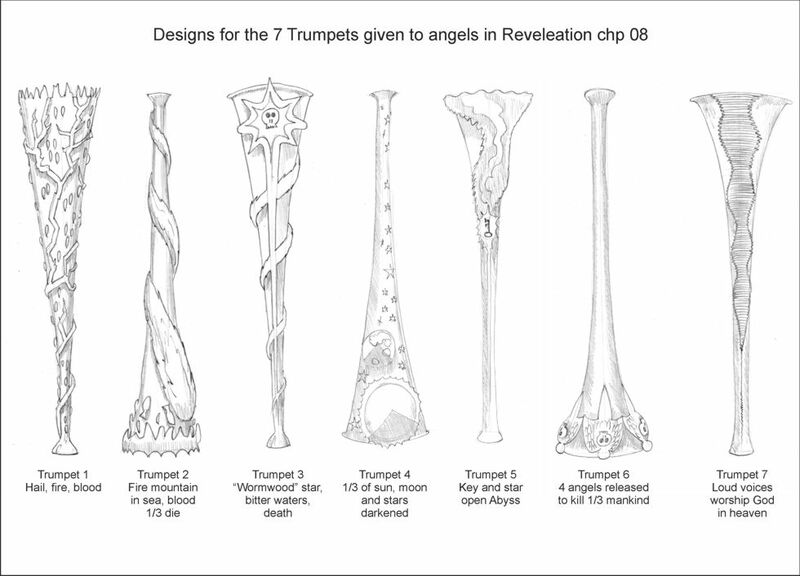 01) (This page) Revelation 08 – Seventh seal – Scene 01 – Seventh seal: silence and trumpets (with scroll). 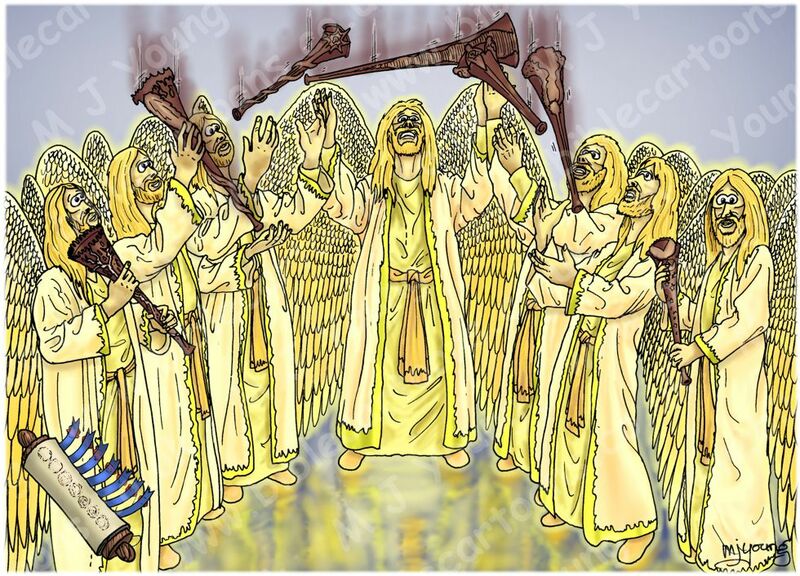 02) (Next page) Revelation 08 – Seventh seal – Scene 01 – Seventh seal: silence and trumpets (without scroll). 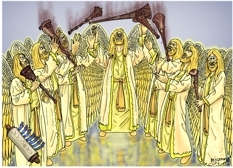 The seven trumpets given to the seven angels are descending from God above. I decided to make each of the trumpets bodies represent the judgement type that it brings. Below is the sketch I drew of the various designs.